Ninja Gear Canada’s product is a great Canadian Bo-shuriken with a fantastic finish. They are very close to the officially authorized MSR Bo-shuriken from Japan. Despite the higher weight (5 grams heavier) and the softer metal, these Bo-shuriken are a great option for anyone who is looking for a domestic product. 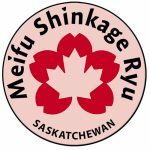 Meifu Shinkage Ryu Saskatchewan Keikokai received a complimentary set of Canadian made MSR Style Bo-Shuriken, manufactured by Ninja Gear Canada. 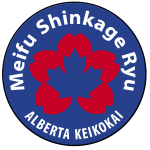 Chris de Feijter, Leader of the Keikokai agreed to doing a full review about this new product. For this review, Chris threw 500 Shomenuchi into a target made of two layers of Puzzle Mats. Design and Finish: These Bo-shuriken are designed very nicely, the product finish is extraordinary. Each Bo-shuriken is identical in weight, size, and shape, something that demands a detailed eye from a craftsman. The finish is quite different from many Japanese MSR Bo-shuriken. Ninja Dear Canada uses Nitride to coat each Bo-shuriken. This finish is probably the best one I have come across in any of the Bo-shuriken I have used. Even the forged Bo-shuriken from Japan, which have a smoked finish, do not look as good as the Ninja Gear Bo-shuriken. A major plus is awarded here. 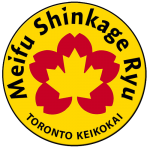 Before I describe the details of this product, please take a look at the video, demonstrating throwing three kinds of Bo-shuriken: #1 is the Ninja Gear Canada Bo-shuriken, #2 is an Official MSR Bo-shuriken (cut steel), and #3 is also an official MSR Bo-shuriken (forged steel). The weight is 5 grams heavier Bo-shuriken (42 grams vs 36 to 38 grams). They are significantly heavier (about 15% more) than the regular MSR shuriken from Japan. This is a big difference. One of our students also noticed this right away. After analyzing slow-motion iPad videos, I noticed that this extra weight alters the flight path considerably. In addition, this extra weight requires an adjustment of Tenouchi (hand grip) from a regular grip to a deep grip to accommodate and to adjust the flight path. I do recommend that the extra weight is adjusted, and brought back to at least 38 grams. During the initial throws, I made one Bo-shuriken land on the bottom-end of another Bo-shuriken. I wanted to inspect the damage to each. The Bo-shuriken that flew into the other one, had considerable damage to the tip, with multiple bends and scrapes. The Bo-shuriken that was the target only had a little mark. Nevertheless, I had to repair the tip with sandpaper and a needle-nose file, something I have never had to do with the Japanese MSR Bo-shuriken (cut steel). Repairing the shuriken altered the weight with .25 grams, and more significantly, altered the flight path slightly. It seems that the steel used is a bit soft, however, this is much better than a Bo-shuriken tip shattering into pieces when it is too hard. The softness of the steel is something I worry about. Yes, for a beginner who throws the Bo-shuriken in random places, the chances of a Bo-shuriken landing into another is slim, however, a more advanced practitioner, who is working on grouping the Bo-shuriken nicely together, may have a tougher time keeping the Bo-shuriken from getting damaged. One recommendation may be to further harden the tip, or use a slightly harder steel, as I can see a novice MSR Budoka being challenged by having to adjust the tip after a collision with another Bo-shuriken. Overall, after 500 throws (100 each) I do not see major damage to the Bo-shuriken (except for the one that was damaged after the collision). I made sure to leave enough room between the Bo-shuriken when thrown to make sure the tips would survive this review. The nitride finish is almost identical to what is was when I received them, making them look better than the official MSR Bo-shuriken from cut-steel. Cut-steel Bo-shuriken are all products that are easily replaced, and because they are an economical option compared to forged Bo-shuriken, it is almost too much to really worry about the softer steel. Ninja Gear Canada’s product is a great Canadian Bo-shuriken with a fantastic finish. They are very close to the officially authorized MSR Bo-shuriken from Japan. Despite the higher weight (5 grams heavier) and the softer metal, these Bo-shuriken are a great option for anyone who is looking for a domestic product for everyday training. 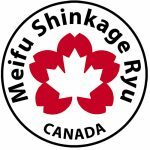 However, for official MSR training as well as examination, it is recommended that Ninja Gear Canada creates a Bo-shuriken that is closer to the weight of official MSR Bo-shuriken (between 36 and 38 grams).